The recipe is incredibly simple. In fact, it’s probably too short to be a recipe. 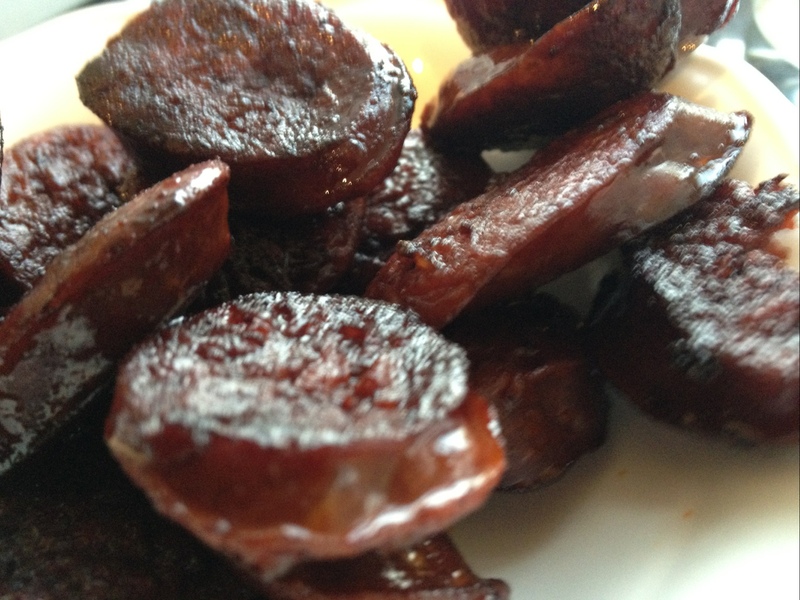 Just slice up some chorizo, bash up some garlic and pour over some decent red wine. Set aside for a while (I leave it for an hour or so), then whack it in a hot pan for a minute or two and serve. Boom, a nice little tapas-type snack. An additional bonus is that it leaves you with a sensible amount of wine to share mid-week.